One of the most vital components of a semi-auto pistol is the recoil springs as they are central to how a semi-auto pistol operations. They are also one of the most common causes of malfunction as well, so it pays to be aware. The recoil spring is part and parcel to the operation of the slide; without it, your gun is essentially dead in the water. If you're going to have a pistol, and furthermore if you're going to carry one with a holster and gun belt you might as well know how to keep it in good working order. 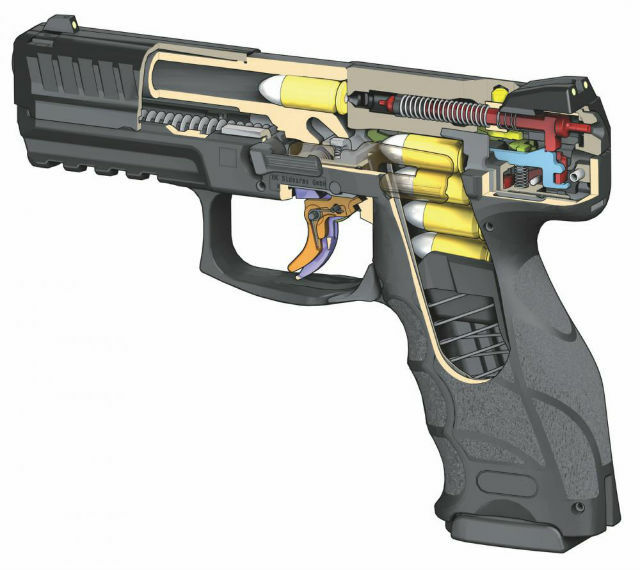 The recoil spring is the heart of how a semi-auto pistol operates. 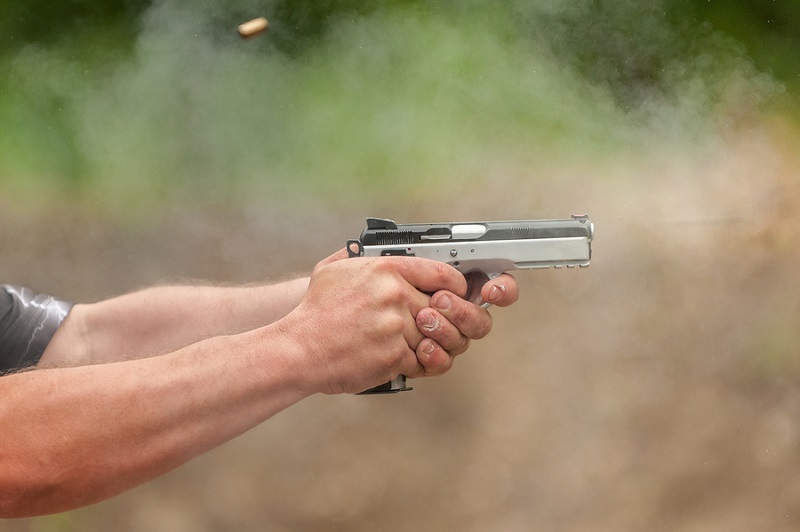 It doesn't matter what kind of operation is employed, either; gas-operated, blowback and short-recoil operated pistols all depend on a recoil spring to function. 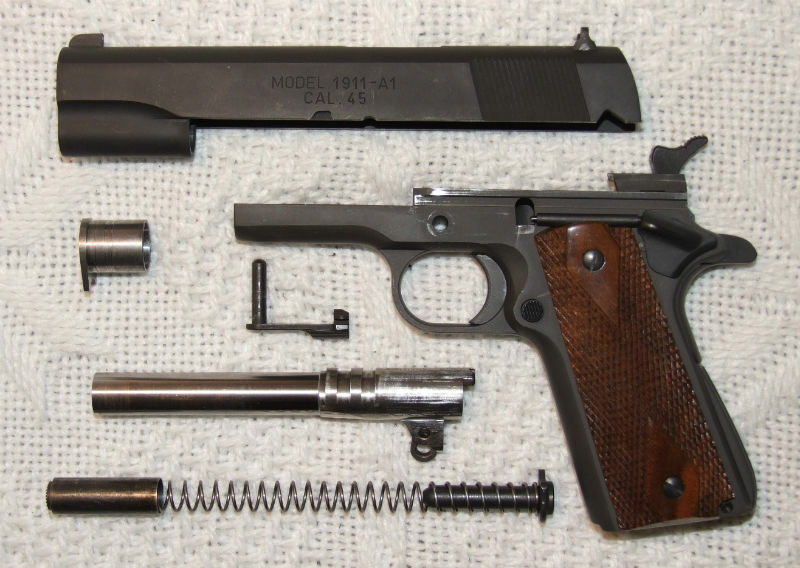 The most primitive version of how a semi-automatic pistol (or semi-automatic firearm of any kind) works is that when a bullet is fired, the act of firing produces a force that propels the action - be it a bolt or slide - to the rear, ejecting the spent case and compressing a recoil spring. Said spring decompresses, sending the slide/bolt forward, loading the next cartridge and returning the firearm to battery, or a fully closed state. It is ready at this point to fire again. Granted, that is a gross overgeneralization, but the point is that without the recoil spring, the second half of the operation cannot take place. As a result, the recoil spring is essentially the heart of how any auto-loader works. Without it...it's just a paperweight. Naturally, you want to make sure that your recoil spring stays in good working order. 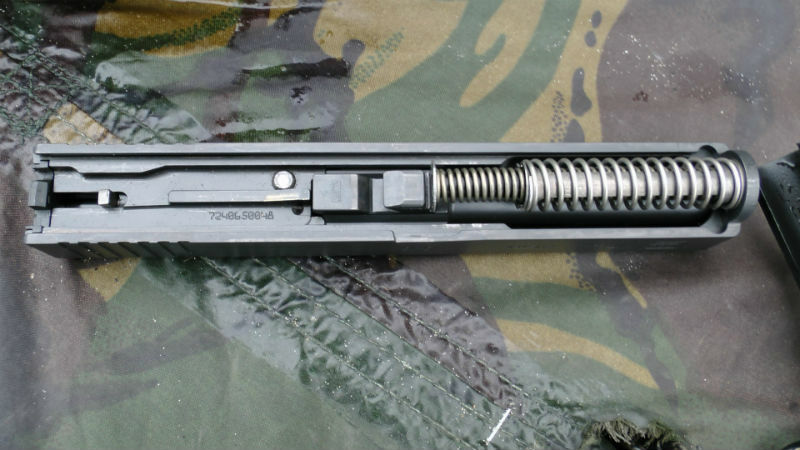 You also may want to upgrade the stock recoil spring or periodically replace it - just like with your magazine springs. Alongside the function of them, there are a few things you should know about recoil springs. They are an essential part of how a firearm works, sure, but what you should know about them is that they are actually designed with specific tolerances in mind and specifically, the spring rate. Spring rate is the amount of weight needed to compress a spring by one inch, measured in pounds per inch. For instance, an automotive spring may have a spring rating of 200 lbs per inch. Why does this matter? The higher the spring rate, the more force is required to compress the spring, meaning the action doesn't cycle all the way back. Too low a spring rate, the spring compresses too easily and the timing will be off - meaning it will take longer for the pistol to return to battery after firing. That will also affect muzzle rise. Muzzle rise increases with a softer spring rate, meaning it takes longer to get back on target and thus follow-up shots take longer. A stiffer spring is a good idea if you're going to be shooting more high-power loads (such as plus P ammo) with any frequency. If you'll be shooting low-recoil rounds more often, a lighter spring may be a good idea. Typical factory springs are jacks of all trades. Most rounds will cycle just fine, but may not cycle as well as it should with low-power or high-power rounds. If you shoot reduced recoil or high-power loads frequently, you may want to consider switching to a lower or higher-rate spring as appropriate. Should I Occasionally Get Replacement Recoil Springs? Just like magazine springs, occasionally replacement recoil springs are a good idea, especially when the current springs - factory stock or not - begin to wear out. You'll notice, as your pistol won't cycle as well as it used to, despite everything else being in good working order. How long do recoil springs last? Well, that comes down to an economy of scale. First is the manufacturer. They usually have a guideline for how long a recoil spring should last before it needs replacing, usually on the order of a few thousand rounds. It may be 2,000 to 3,000 rounds, it might be upward of 10,000 rounds. Also, use has to be considered - is this a hard-working gun that gets hundreds of rounds put through it per month along with daily carry? Or is it a safe queen that only sees a few rounds of hardball a few times a year? Or is this a winter carry gun that only sees partial use? The heavier the use, the more often you might consider changing the spring. Also, the ammunition you feed it matters. Does this gun mostly shoot middle-of-the-road generic hardball? Or is this a competition gun running reduced-recoil rounds? Do you practice with +P ammo frequently? (Some people do.) Frequent high-power loads can reduce the life of the spring as well, so make sure you consider that. The good news, though, is recoil springs are usually cheap. Replacement recoil springs for guns by most of the major manufacturers go for less than $20, if not less than $10. 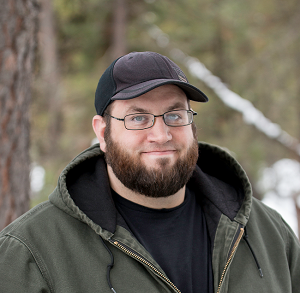 Hey brother, good article. Just wondering if you can recommend a recoil spring for my 9mm cz75 SP-01 for when I Shoot +P ammo.